The location for the shoot is entirely your choice, either at your home or perhaps in a park or place of significance to you both, or even the wedding venue. These sessions help you get to know me and feel comfortable being photographed. Through spending time with you, both at your personal consultation and the pre-wedding shoot we will establish together which style of photography suits you best, be it traditional, relaxed documentary or a creative artistic approach - or a combination of all three. 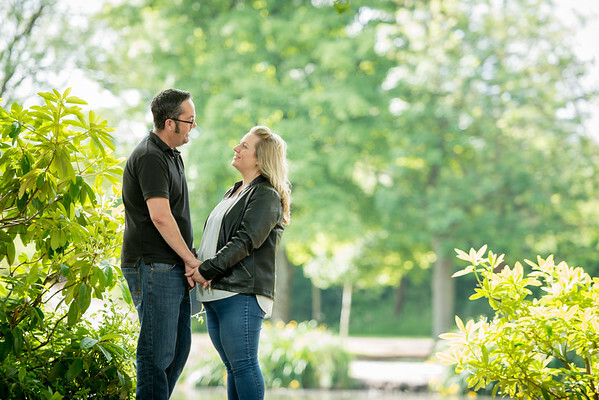 Kerry & Chris' pre-wedding photography in Longton Park, Stoke on Trent, Staffordshire. Claudia and Sam's pre-wedding photography session at Hoar Cross Hall in Staffordshire the beautiful venue chosen for their wedding. 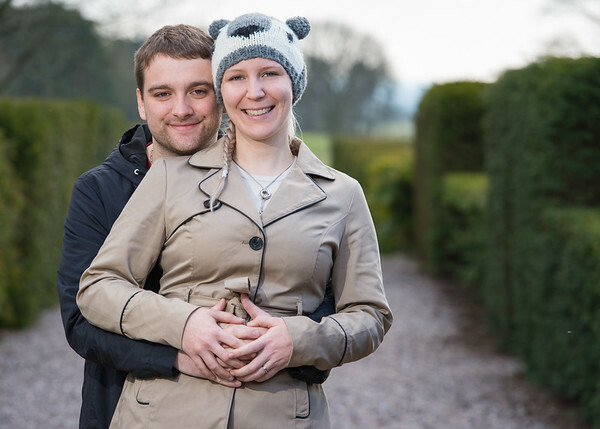 Sam & Paul's pre-wedding photography in Longton Park, Staffordshire. 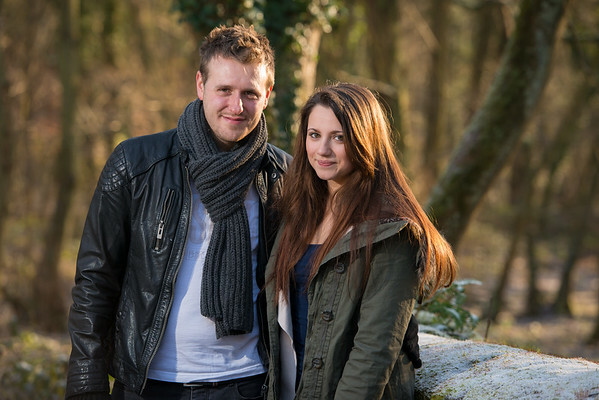 Jodie and David's Pre-wedding Photography - The Rambler's Retreat, Alton, Staffordshire. Angela and Ian's Cheshire pre-wedding photos. Vicki and Andy Alton Towers Garden Pre-wedding Photography. Vicki and Andy chose Alton Towers Garden for their pre-wedding photography location, Vicki's place of work. The gardens at Alton Towers, for anyone who has not been, are beautiful and somewhat overlooked. There are many varied locations which provide wonderful photography backdrops. Whilst walking we got to know each other and to relax in each other's company - the outcome, great natural looking photography. Vicki and Andy grew in confidence being photographed, in my ability as a photographer and were more prepared for their big day. However with only 18 days remaining before the big day we set about capturing some pics. As usual we all got to know each other, had some fun and managed to get some super photos too. Longton park, Stoke on Trent, Staffordshire was again the venue for our pre-wedding meet. Pre-wedding photography at Consal Nature Reserve, Stoke on Trent, Staffordshire. Some 8 to 10 weeks before the wedding day I scheduled a date for the pre-wedding photography session. Laura and Scott chose Consal Nature Reserve as the location for the session, a place they had both regularly walked with their dog. The weather on the day was heavily overcast which produced flat uninspiring light. However, amongst my camera kit I carry a number of small lightweight flash guns mounted on stands for use when the light is not particularly flattering. This gives me the option to take my own light where I want, to use locations at times of the day or year that might not otherwise be possible. So if your wedding is in the winter I can always be relied on to get the shots.